Welcome to The Schroeder Page! 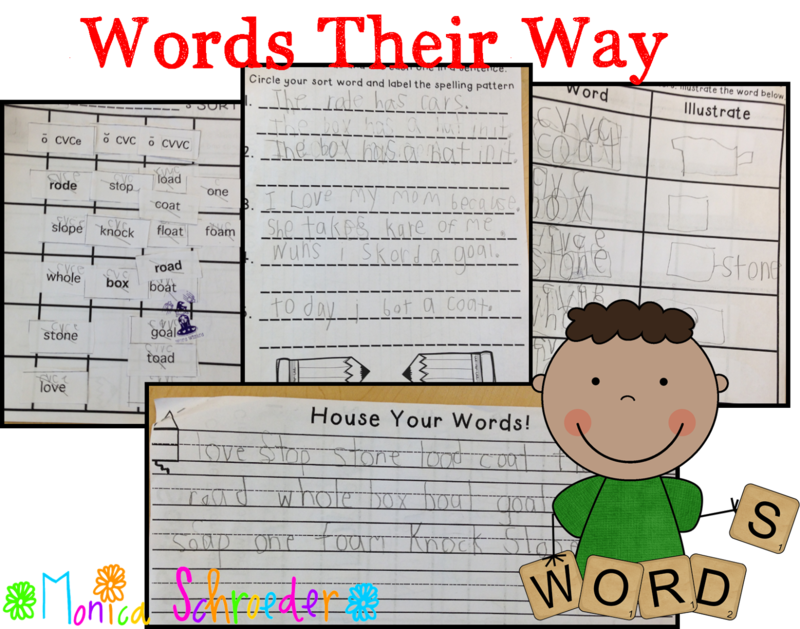 : Words their Way: My Way! Words their Way: My Way! Friends~ Words their Way has been a challenge but with some help from a teacher friend, I am finally making it work! I am telling you, I was pulling my hair out trying to fit it all in! Now, I am just making it work in my classroom. Words there way is a developmental word study program in which students learn to spell words by sorting words based on their spelling patterns. Basically, I gave my students the spelling assessment at the beginning of the school year and scored it based on the WTW rubric. That was super simple and it gave me lots of good information about where my firsties were with letter sounds and phonics. I then broke my kiddos up into groups. One of our Kindergarten teachers helped me get organized with folders and color coding of levels. It turns out that I am running about 3 different sorts during the week. ELL Toolbox is a great site that shows and gives you downloadable sheets for organizing your groups! My savior teacher (Who may start a blog and totally should!) pointed me in the right direction of using premade sheets for my students to practice their words on. I tweaked them to fit my kiddos and off we went. Click HERE to download your own set of these files! On Monday, students get their new sorts or word lists. They cut them apart and practice sorting them for the spelling pattern they are working on. Tuesday they glue their sorts down and label spelling pattern. Wednesday they write 5 of their words and box tall and short letters. Thursday they use 5 words in a sentence and circle their words. Friday they work on writing their words on lined paper paying attention to letter formation. Once they complete their sheets, they turn it in to me and I check it over. If it is complete, I stamp it with my Word Wizard stamp and they move to our making words center activities. (This is what we do the 2nd week.) My students work on their sort words for 2 weeks. Even during Daily 5 Centers! 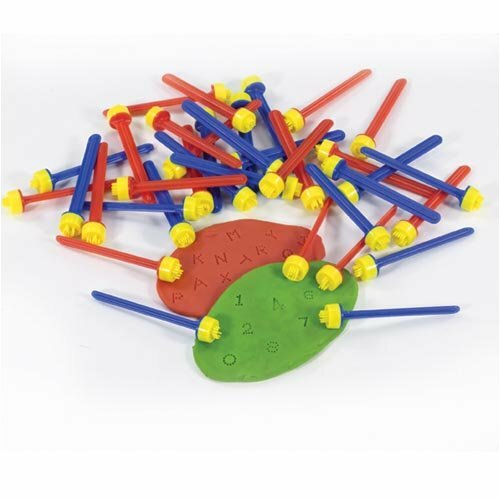 Playdough stamps and scrabble tiles! Click the image to head to my Amazon Affiliate site and check out a set of playdough stamps! I just ordered a set of LCD Writing Boogie Board Tablets for my kiddos this week. I can't wait to get my hands on them! I know they will be a big hit! I really like the direction that we are moving with Words their Way. I am starting to see some bulbs flicker on about spelling patterns in their daily reading and writing. I am totally still working on this in my classroom and would love to hear about anyways you all make Words their Way work for you!